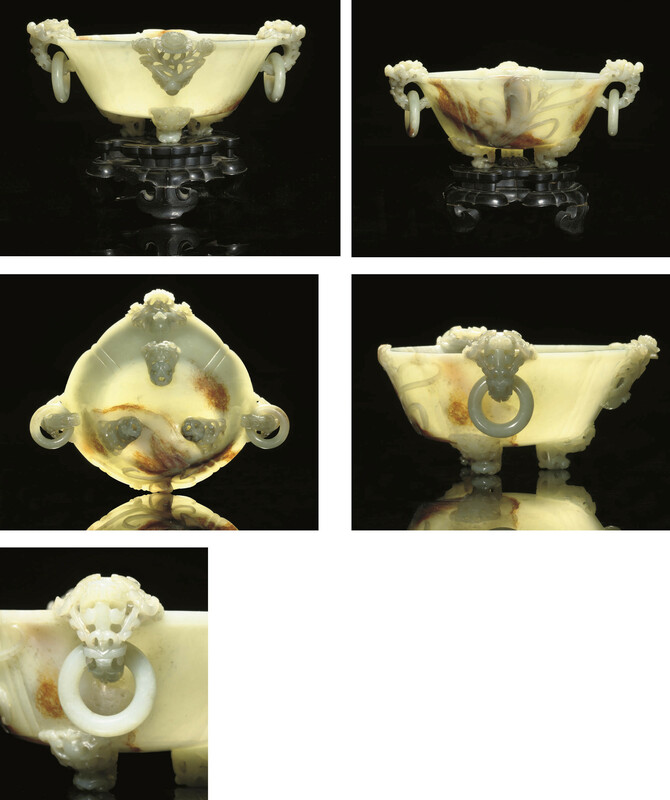 The bowl of lobed quatrefoil form with steep sides rising to the rim, crisply carved and pierced with Buddhistic lion-head handles suspending loose rings, divided by a bat below chrysanthemum in openwork, and a millet spray issuing from rockwork, raised on three Buddhistic lion head supports -- 6 3/8in. (16.2cm.) diam. across the handles, wooden stand.